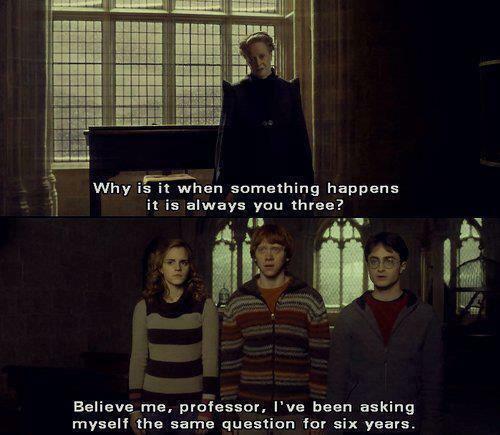 Why is it when something happens it is always you three? Believe me, professor, I've been asking myself the same question for six years. Why is it when something happens it is always you three? Believe me, professor, I've been asking myself the same question for six years.